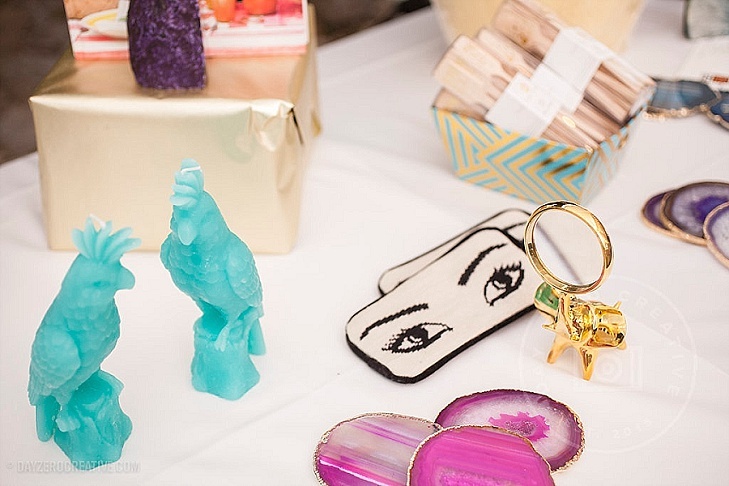 Recently, I had the chance to co-host a simply smashing spring soiree for Manor, a fabulous online home-decor and gift shop. Read on for not only an event recap, but also a discount code, fantastic flamingo giveaway, and details on our outfits! What a fun evening! 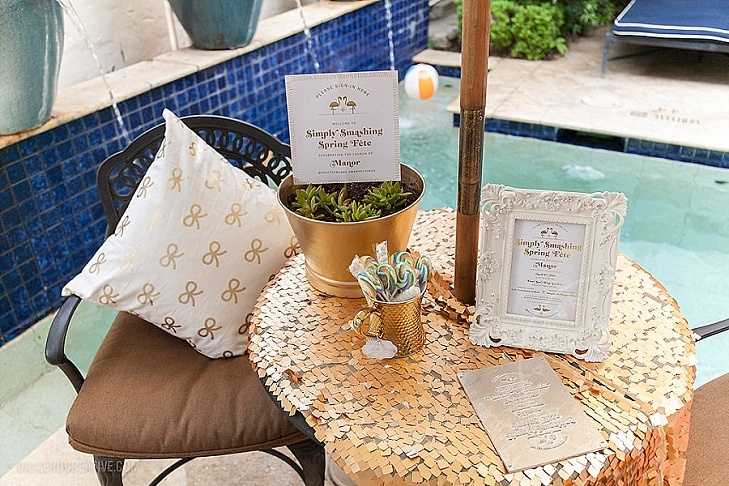 This pool-side fete held true to the whimsical and glamorous vibe that runs throughout the online shop. 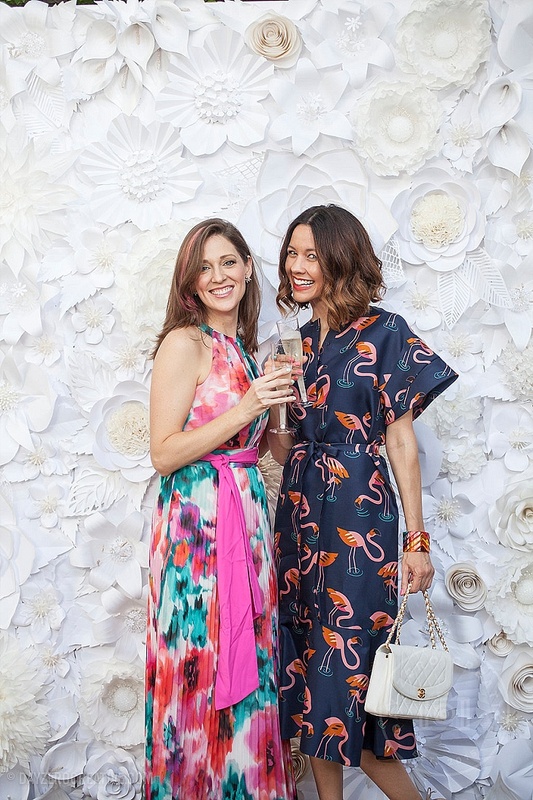 Over 150 people gathered together in 1960s pool party chic attire to toast the shop and give back. The evening benefited Houston’s Ronald McDonald House. Pink, gold, sparkle, and sweet treats ruled the evening. Shop owner and curator Beth Delozier Hayes executed the party perfectly. 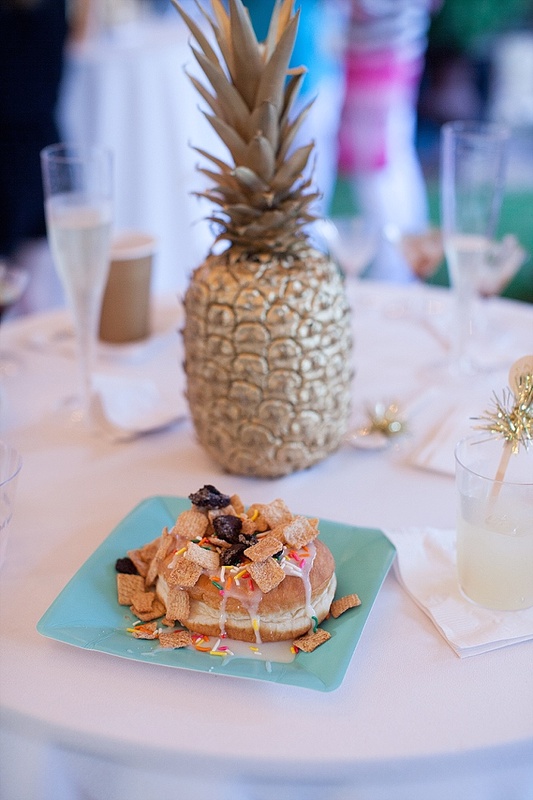 Some of my favorite details included the beach ball backdrop by Sugar & Cloth, the flower wall by Blome’s Paperie, the decorate your own donut bar by Glazed, and the ice cream with a kick from Tipsy Dessert Bar. By the way, if you love that beach ball backdrop as much as I do, you can read the do it yourself details here. If you share my fascination with this flamingo, good news on two fronts! I have a giveaway opportunity, plus a discount code for you. All you have to do to enter the giveaway is (1) leave a comment on this blog post, and (2) follow Manor on Instagram here. In your comment, I would love to hear about your summer plans! Giveaway entries will be accepted for a week (until Sunday evening 11 pm central time.) And the giveaway can be shipped anywhere within the continental United States. Even if you don’t win the giveaway, you can purchase a flamingo for 20% off! In fact, you can shop the entire site for 20% off. Just enter the code www20 at check out. This code is valid through the end of April. Good luck with the giveaway! I am certain a pink floating flamingo will increase your general happiness this summer. Updated 4/27/15 : Congrats to Shannon Tidwell on winning the flamingo giveaway! Love the pink flamingo. We have a new baby, so plan to spend most of our summer in the backyard swimming with the bigger kids! 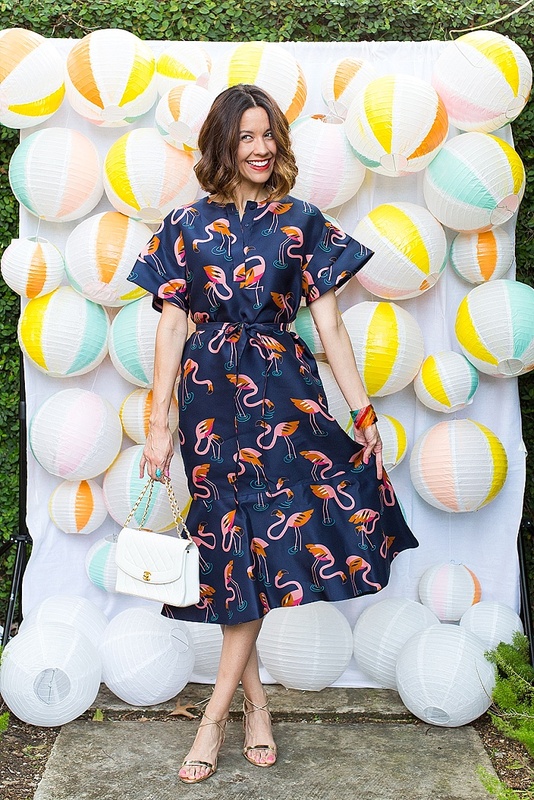 I absolutely love your flamingo print dress! 🙂 This summer I plan to spend way too much time relaxing at the pool! I’ll also be heading to the family lake house a few times this summer, which I’m very much looking forward too! That sounds fabulous! Thanks, Alice. What a bright and happy post for a Monday! With respect to summer plans, we will be travelling to Winnipeg, Manitoba in August. My daughter is attending Royal Winnipeg Dance school and my husband, son and I will be touring/sightseeing Winnipeg while she is in session. Thank you Carrie. You have Canadian fans!! Thank you, Ramy! It is a fun retro silhouette. 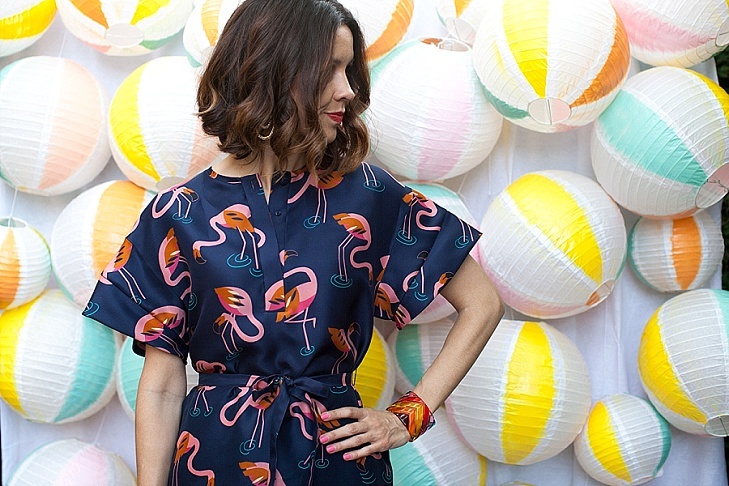 I am so purchasing that flamingo dress. It will be perfect for these Florida summer soirees ;-);-);-). Need the inflatable one too!!!! 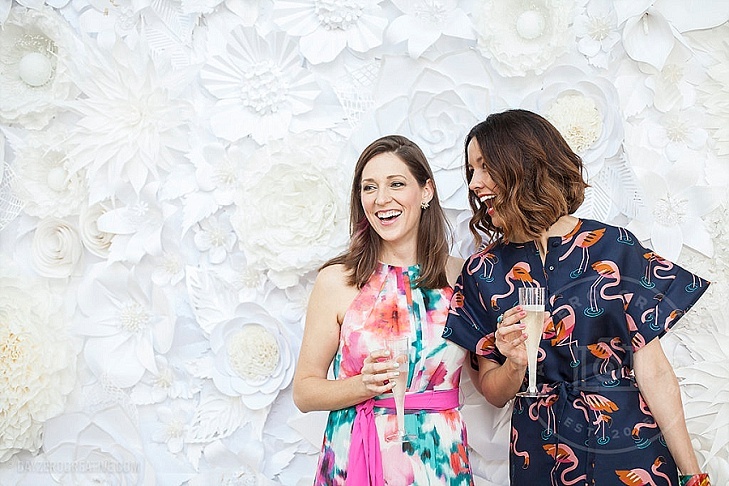 Pool parties, summer cocktail parties… so many occasions where it will be appropriate, particularly in Florida! A heads up: it runs really big! Of course, it’s supposed to be a loose fit overall. But still – I would recommend sizing down. 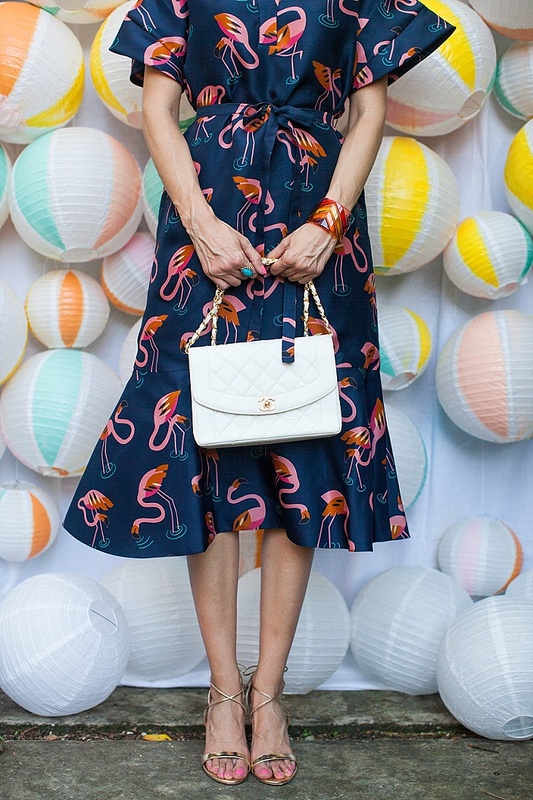 Love that flamingo! Such a fun idea for a pool float. Isn’t it great? Thank you! My summer plans have adjusted to include lounging on a giant pink flamingo in my pool! I fell in love with it at the Manor launch as well! Ha! You are totally right, Lauren – outfit pics! 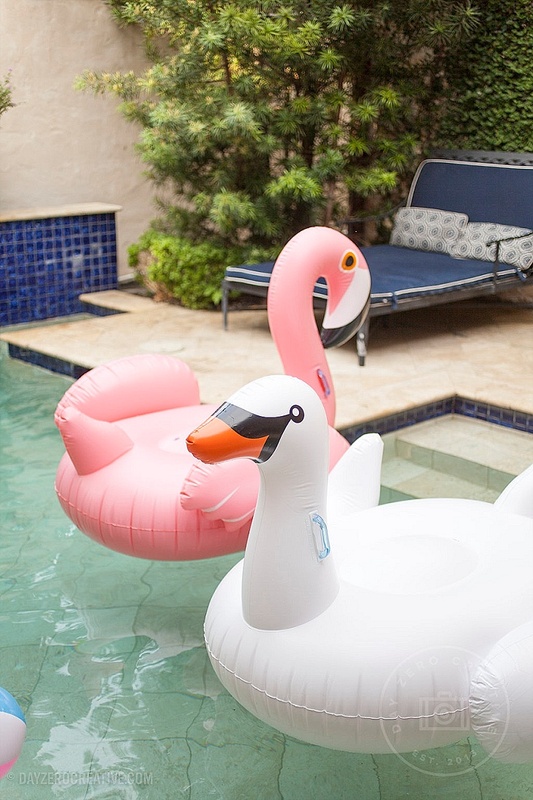 This Flamingo would be a great addition to or family pool parties throughout the summer! so jealous of your Delpozo dress! The sleeves are insane (in the best way)! Oh that sounds fabulous, Jo!